But now… Cee is potty trained, so no poop explosions (although she did wear a pull-up while we were flying, just in case). She can now tell me when she feels nauseous, so we had plenty of time to get out the little complimentary motion sickness bag. And she’s weaned, so no need to lift my shirt. She sleeps when she’s tired, avoiding that dangerous over-tired state. Cee is two, but when people ask how old she is, I now feel the need to add that she’ll be three in November. Especially after this trip, she doesn’t feel like a toddler anymore. Travel is always an extreme break from routine, and we know how kids need their routines. Such a break from routine with an infant can be a near-crisis situation, and travel is all about survival. With toddlers, the loss of predictability tends to put their worst behavior on display. But with my almost preschooler, a break in routine is now an exciting adventure. And she was up for it. She was thrilled to point out that we parked our car in section C (“That’s like my name!”), even as we ran through the rain lugging suitcase, car seat, and backpack. She was proud to be in charge of our baggie of liquids as we went through security. She relished every escalator ride (“I yuv escayators!”). She studied the safety guide intently, while I tried to downplay the chances that we would actually need to use our seat cushions as flotation devices. She watched the bags travel up the conveyor belt into the plane and marveled at the changing colors of the sky. The truth is, things did sort of fall apart for us on this trip, but we held it together. A lightning storm delayed our first flight, and we missed a connection in Denver. At 7 PM, I stood at the customer service counter as the representative explained that we’d need to find a hotel room (at our expense) and catch tomorrow’s flight to Cincinnati, which would get us there at 3 PM. She clicked away on her computer with determination. (At this point, I could tell we’d landed a good customer service rep.) Finally, she had a solution. “You’re gonna think I’m crazy,” she said. And she was. She suggested that we keep flying that night, around the country: Denver to Salt Lake City, Salt Lake to Charlotte on the red-eye, and Charlotte to Cincinnati, with a two-hour layover at each stop, arriving in Cincinnati at 9 AM the next day. I looked down at Cee, who was entertaining herself by emptying the contents of our backpack on the floor next to my feet. I didn’t know how she would handle flying all night, but it would get us there in time. “We’ll take it,” I said. Let me say that the last time we did a red-eye flight with Cee, more than a year ago, she didn’t sleep AT ALL, and neither did many of our neighbors on the plane. And there were two parents on that flight, Husband taking more than his fair share of baby bouncing. Here I was embarking on an overnight journey without his help, and with no mental preparation for Cee. I hadn’t even brought a blanket. Crazy, for sure. Post red-eye layover. Hanging in there. But guess what? We did it. 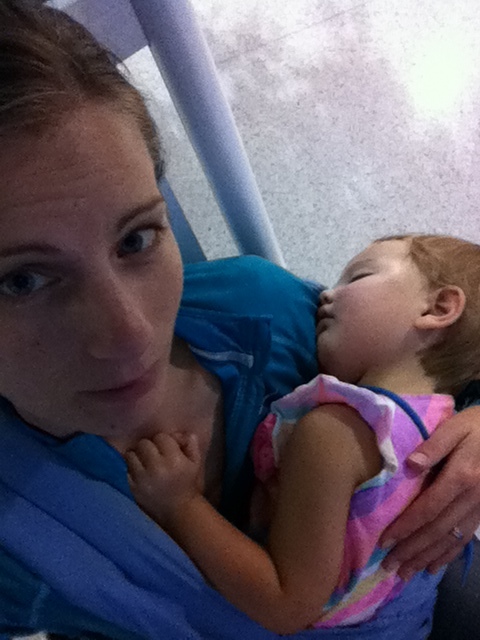 Before our plane left the ground in Salt Lake City, Cee laid her head in my lap, unprompted, and fell asleep. I carried her off the plane in Charlotte and found a rocking chair to sit in until the next flight. She slept until we landed in Cincinnati. I didn’t sleep, but one of us sleeping is far and away better than neither of us sleeping. I’m really excited about this new world of traveling with Cee. And after our trip, I sat down to reflect on what worked well and what I’ll try to improve on for the next trip (which is coming up all too soon – we’re flying again this week!). 1. Build up your trip as a grand adventure together. As I was preparing for this trip, a friend mentioned to me that traveling with her 3-year-old has been easy lately, because it has become their special time together. That totally changed the way I approached the trip. I started telling Cee about our special trip, just the two of us, and we both built up some positive anticipation for traveling together. 2. Talk through all the details of the trip. Kids this age are still very much living in the present and have a limited ability to think about the scale of time into the future, so talking about the process is just as important as talking about the destination. Before this trip, I had spent lots of time talking about the people and places we would visit in Kentucky (including a friend’s farm), and I had told her that we would fly on an airplane to get there. When we landed in Denver, after the first leg of our trip, Cee looked around the airport and asked me where our Kentucky friends were and when we would see the cow. I had neglected to tell her that we would actually fly on two planes, and of course, I had no idea that it would take us four flights to get there. Next time, I’ll prepare her for every step of the trip, as much as possible. 3. Pack a new toy or two and some tried and true books. I started the tradition of buying a couple of small new toys (or borrowing them from a friend) for long trips when Cee was a baby. On previous trips, I have sometimes been organized enough to wrap them up in tissue paper and ribbon, which adds to the excitement. This time, I brought this lacing pony by Hape, which was a huge hit. When Cee got tired of playing with the pony, she made a necklace out of the beads. For books, I brought a few of our favorites in paperback, because I think familiar books help make the bedtime routine more comforting in a strange place. This was also our first trip when a coloring book, colored pencils, and a sticker book proved to be highly entertaining. 4. Bring technology, but don’t count on it. Cee really doesn’t watch TV or videos at home, and we only use iPad apps occasionally, but I have no qualms with taking full advantage of technology during travel. I downloaded a full episode of Sesame Street for this trip, but Cee watched all of 3 minutes of it before asking for something else to do. Part of this, I recognize, is that Cee doesn’t have much practice sitting still to watch a video. She does enjoy interactive apps, though. Her favorite apps on this trip were Toca Doctor, Monkey Preschool Lunchbox, Trucks HD (by Duck Duck Moose), and Shape Builder Lite (this one, which is incredible simple and FREE, is actually Cee’s favorite right now). 5. Run off steam in the airport. Sitting still for hours in a small space is hard for people of all ages, and running is good for kids and grownups alike. Once I knew we would be on a red-eye, Cee and I ran up and down the airport terminal until it was time to board. This is actually really fun late at night, when the airport is nearly empty. And I think it helped Cee look at the seat on our red-eye flight and see a good place to rest rather than play. 6. Have a plan for carrying your kid if needed. Cee can walk at a reasonable pace and for a reasonable distance now, and in the interest of packing light, I contemplated leaving my Ergo carrier at home for this trip. I’m so glad I brought it. It was essential for carrying Cee on and off the plane when she was sleeping, while also lugging my backpack and keeping my hands free for paying for coffee or using the bathroom (this is really important when you’re traveling solo for 20 hours!). I’ve never used a stroller for travel, but I’m sure this works well, too. Just be sure you have something, especially if it is just you and kiddo. 7. Use light/dark cues to set sleep expectations. Travel means disrupted routines and often time zone changes as well. On this trip, I kept it simple and told Cee that we’d go to sleep when it got dark (if not before). In Kentucky, I worried about putting Cee to bed too early (8 PM in Kentucky is just 5 PM in Oregon). But travel is tiring, and Cee accepted that nighttime meant sleep. I told her the same thing when she came into my room at 4 AM on our first morning back home. She climbed into bed with me and snuggled until 6:30, when she pointed out that it was getting light outside. After a few days, we were back to our usual schedule. If day length or latitude mean that nightfall is way too late for bedtime, use blankets to darken the bedroom to maximize your chances of good sleep. Travel is more fun when your child is well-rested! I was just missing your blog and was planning to look back to see if I missed a post. What a busy summer! Great tips as always. Well, she’s just reaching the point where she’ll occasionally ask to go to bed at home, but this may also be related to Our Very Busy Summer, during which we weren’t always consistent about bedtime. Most of the time, we rely on a bedtime routine to help her get ready for sleep. I think the voluntary sleep on the red eye was because she was truly exhausted – several hours past her usual bedtime and lots of running around in the airport got her there. I wouldn’t recommend that strategy for everyday use! But what was nice was that she didn’t get caught in that overtired+overstimulated state that we’ve experienced before. 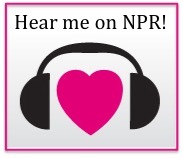 Nice to hear from you, Holly, and it’s good to know someone is still reading! I am taking my daughter to meet her new cousin in December. She will be 18 months old (cousin will b 6 months). We will be traveling from Minneapolis to Poland. I think I’m most nervous about the time difference. I guess I figure the flight itself will just be something we will all have to do our best and get through and just do what works but I’m afraid she will be a basket case with the time difference. My mom did the little gifts thing when I was little so I got that down. Her interests change so much right now though that I really have no idea what things she may like by then. I got an idea from somewhere to hand out little notes (with candy attached) to the people around you and the flight attendants and think I have won the argument to not try benadryl (husband’s idea) as I had hyperactive reaction as a kid and it makes me feel yucky. Any other advice? The one idea I did have was to hide some of the toys I know she likes that would be easy on a plane (magnadoodle for example) for 2 or so weeks before we left so they are “cooler” when I bring them out on the plane or she gets a travel sized version on the plane. I have a few apps but they don’t hold her interest for long and she doesn’t watch tv. Also see the link at the start of the Benadryl post – I wrote a post about what worked well at that age that might be helpful to you. A warning: I do think that age is hard for travel. I remember that Cee just really wanted to move, and sitting still on an airplane was not her idea of a good time. My best advice is to have a lot of options for things to play with, plus be ready (and maybe practice beforehand with her) some fun lap games. Talk to her a LOT before the trip about what it will be like and how she’ll take her nap on the plane, etc. Get up to walk up and down the aisles every so often; this can be immensely entertaining:) I don’t have experience with big time zone changes like you’ll have, but I do think that using light to help reset your baby’s clock, and being flexible, will go a long way. Something we’ve had good luck with is liquid Natrol melatonin to help with sleep every once in awhile when things are really wacky. You might talk to your pediatrician about it. Natrol brand is supposed to be pharmaceutical grade – melatonin isn’t regulated by the FDA. It depends on the kid, but for us 1/4th of a dose will reliably knock our son out in 20min. We also found that natural jelly beans are great for take off and landing to get the ears to pop. I work for an international company, and my collegues are often going back home for annual leave with small children. The common wisdom here is hydrate, hydrate, hydrate. If you can get them to drink a lot of fluids, it makes the time change almost invisible. Be prepared for it to be worst when you come home; you don’t have the excitement of the trip to compenstate for anything. International flights have good in-seat entertainment options (music and vidoes) so you might want to bring a pair of child friendly ear-phones. Contact your airline to see what options work with their planes. My experience with the notes-and-candy approach was that it tended to make people more sensitive to your child, rathar than less. Talk to your seat mates instead; explain to them that this is a family obligation, and you couldn’t have left the munchkin home if you wanted. Also, do you have to worry about language differences or is she used to Polish at home? Maggie, thanks for the great tips! I’d never thought much about pushing hydration for Cee, but that makes total sense. I know I struggle to stay hydrated when I travel. Great post, Alice!! I am super impressed with the both of you! That is frankly amazing. For Ro – Having travelled internationally with an almost two year old, my best advice for jet lagged toddlers is to plan next to nothing for two days after travel. We couldn’t predict when he would sleep, when he would eat and how we would feel as well. We slept when needed and ate when hungry for one day, all while getting outside as much as possible, then set a normal schedule on the second day and it seemed to work really well. Oh, I am so glad to hear it gets easier. This spring, my husband and I took our 12-month-old to Japan (from the East Coast) so he could meet my father’s family. It was wonderful, but I think 12 mos. is a really difficult time for a major trip–our son still needed 2 naps (many of which didn’t happen), hated being confined but couldn’t walk yet, and was wary of falling asleep in new places. Plus there were major dietary changes (no pickiness, but plenty of diaper rash) and jetlag. To make things especially hard, we were constantly on the move within Japan–domestic flights, bullet trains, the Tokyo subway during rush hour…. By the end, we really did need a vacation from our vacation. I can’t wait until I can pass trips off as adventures and ditch some of the gear and diapers. One thing I learned–and I can see this applying to older kids too–is to not get too ambitious with the itinerary and consider holding off on major metropolises until the kids are toilet trained and well past napping (unless visiting family). Most of my family is in the countryside, but Tokyo is so fun, I didn’t want to travel all the way to Japan and skip it. That was selfish of me. A 12-month-old won’t appreciate it, and neither will the person who draws the short straw and has to stay in a dark hotel room with the little napper while the city buzzes with life outside. In the country, my husband and I were both happy to lie down on a fresh futon, smell the tatami mats, and listen to the sea while our son snoozed. I was raised a city girl, but traveling with a little one has made me enjoy the country more than I ever could have imagined.didn’t happen), hated being confined but couldn’t walk yet, and was wary of falling asleep in new places. Plus there were major dietary changes (no pickiness, but plenty of diaper rash) and jetlag. To make things especially hard, we were constantly on the move within Japan–domestic flights, bullet trains, the Tokyo subway during rush hour…. By the end, we really did need a vacation from our vacation. I can’t wait until I can pass trips off as adventures and ditch some of the gear and diapers. One thing I learned–and I can see this applying to older kids too–is to not get too ambitious with the itinerary and consider holding off on major metropolises until the kids are toilet trained and well past napping (unless visiting family). Most of my family is in the countryside, but Tokyo is so fun, I didn’t want to travel all the way to Japan and skip it. That was selfish of me. A 12-month-old won’t appreciate it, and neither will the person who draws the short straw and has to stay in a dark hotel room with the little napper while the city buzzes with life outside. In the country, my husband and I were both happy to lie down on a fresh futon, smell the tatami mats, and listen to the sea while our son snoozed. I was raised a city girl, but traveling with a little one has made me enjoy the country more than I ever could have imagined. oops…not sure why my comment repeated itself. sorry about that! I completely agree about not getting too ambitious on the itinerary! We like to just stay in one place so we have a home base. But then, I’m a country girl at heart, so I don’t usually mind this. Your Japanese countryside experience sounds lovely to me. Traveling with a baby that still takes two naps is really challenging. We went to Hawaii when Cee was around 6 months. We hung around the condo in the morning for her AM nap (not too hard to do since we were really just there to relax – we played lots of Scrabble) and then went out and about and hoped for the best for the afternoon. She’d usually grab a short nap in the car or in the Ergo on a hike. I really value good sleep – and so does Cee – so it was hard for me to let go of that nap routine, but otherwise we wouldn’t have seen anything on our vacation! This is so helpful, thank you! I have a few tips on traveling with toddlers on my blog, but I always find it useful and informative to read other tips and people’s experiences! Thanks for sharing! Thanks! I know, I think travel can be so stressful, especially the first few times. I can’t get enough tips from others on this topic! Thanks for stopping by! I couldn’t agree more! I really appreciated reading your suggestions! Here are my ideas for keeping a toddler entertained on an airplane if you want to take a look! So happy to be reading your posts again as they have been missed. This was no disappointment. I think you are brave for attempting that trip by yourself. We’ve flown and done road trips with my daughter (now 20mths) with mixed results. Glad to know that things should get easier as she gets older! Hi! 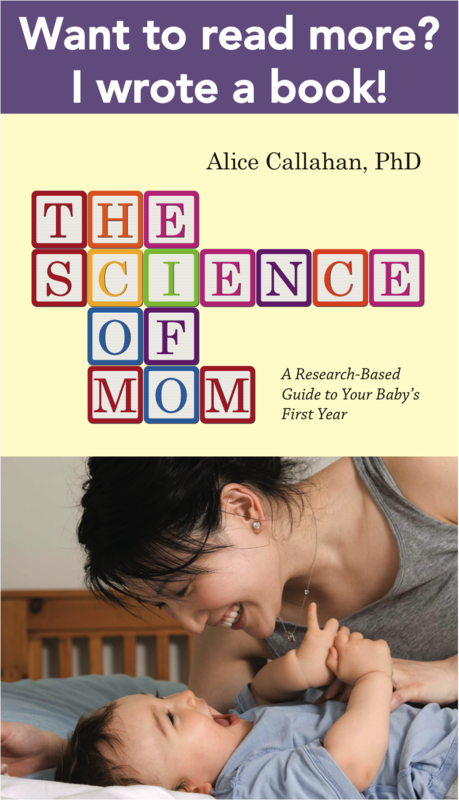 I love science, moms, and the way your blog combines the two. On the topic of travel, you should cover extended rear-facing. In Europe, many countries require rear-facing through age 4 (or even 6!) and the U.S. just increased the recommended rear-facing age from 1 to 2. From my research, it looks like rear-facing is safest for everyone (including adults), but especially for children because of the way their spines and bones develop. I would be curious to get your take, though!